Ruhi Singh, first, reportedly abused police with her two male friends and then drove the car in an inebriated state ramming into five vehicles. TV actor Ruhi Singh was booked for allegedly assaulting police and then ramming her car into other parked vehicles on early Monday morning. The actor reportedly first assaulted police with her friends and then drove the car under the influence of alcohol. The first incident reportedly took place around 2 am when Ruhi and her two male friends, Rahul and Swapnil, were driving back from a party. One of them wanted to use the loo, therefore, they stopped at a popular food outlet on the Linking Road stretch. However, the staff members at the outlet informed them that it was shut for the day and they couldn’t open it. The trio then lost their cool and started abusing the staffers and banging the door. One of the staffers then called the police to intervene. When Mumbai Police reached the place, the trio reportedly misbehaved with them as well. All three of them were booked. While Rahul and Swapnil were arrested on the spot, Ruhi was asked to leave since police can’t arrest a female accused after sunset. 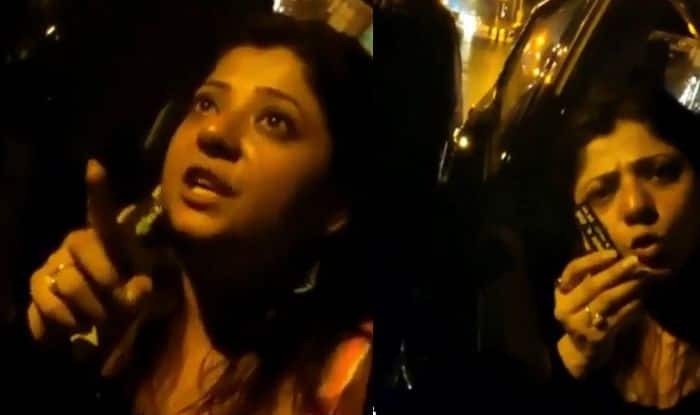 The Khar police have booked Ruhi with her friends for voluntarily causing hurt (section 323), voluntarily causing hurt to deter public servant from his duty (section 332), intentional insult with intent to provoke breach of peace (section 504), misconduct in public by a drunken person (section 510) and common intention (section 34) of the Indian Penal Code. The other case at Santacruz police station has her booked for endangering life and safety due to rash and negligent driving (section 279), driving under the influence of alcohol under the Indian Penal Code, and the Motor Vehicles Act.